The HWLC Volunteer Land Steward Certification Program is designed for HWLC volunteers who are interested in current conservation and natural resource management issues, outdoor recreation, natural area management, citizen science, ecosystem management, invasive species management, and habitat preservation. Through participation in this program volunteers will become certified in the techniques needed to be an effective Volunteer Land Steward. 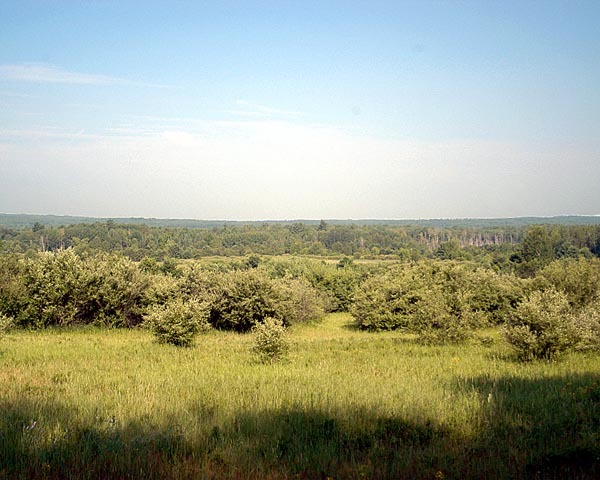 The Volunteer Land Steward will support land management activities on HWLC conserved lands located throughout northeast Michigan. The Volunteer Land Steward will support the monitoring of fee-owned lands and conservation easements. Monitoring field work will involve traversing properties by foot to take photos and make observations about vegetation, wildlife, hydrology, boundaries, and other site conditions. The intern will be responsible for completing monitoring reports that include written observations, maps, and photos. In addition to monitoring activities, the Volunteer Land Steward will have the opportunity to participate in a variety of land management activities such as mapping, infrastructure maintenance, weed control, and ecological surveys. The position will provide training and exposure to environmental field work, land management practices, ecological restoration practices, and land conservation methods and issues. We provide a training manual to new volunteers that they may keep for the duration of their volunteer service. New volunteers have found the training manual helpful to solidify and reinforce the information we present in the training sessions, and seasoned volunteers rely on it for reference and when they need a refresher. Volunteers Land Stewards are so critical to our work that HWLC has created the Volunteer Land Steward Certification Program. All Land Stewards are asked to complete a certification process. All first year Land Stewardship Volunteers must visit a protected property with an experienced Land Stewardship Volunteer. Your “mentor” will show you the ropes of monitoring in the field. *Land Stewards work closely with HWLC’s Land Protection Specialist to select a site that matches the volunteer’s interests and abilities. 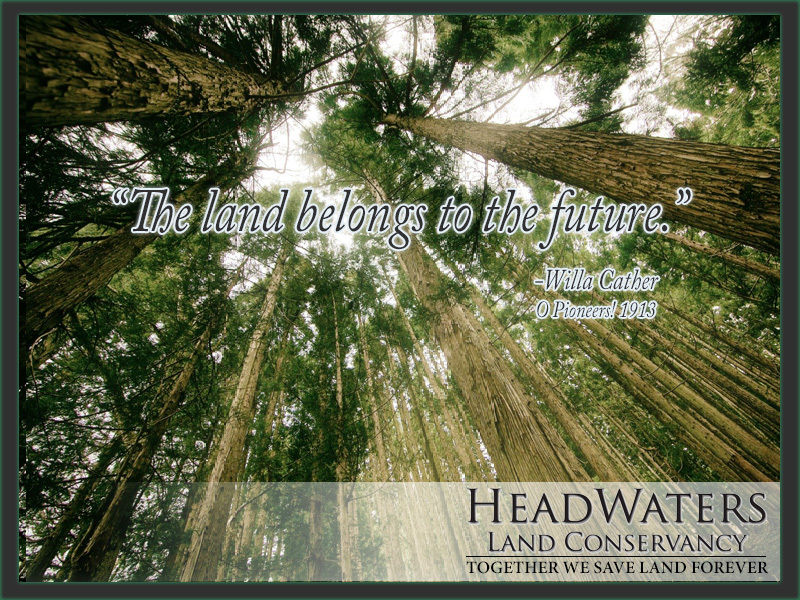 Sites may be fee-owned (HWLC property) or conservation easement sites. **Volunteer events must receive authorization from HWLC prior to planning and implementation. HWLC makes a significant investment in each and every one of our volunteers in terms of time and training, so we would like volunteers to commit to a minimum of monitoring 2-3 properties each year. Volunteer Land Stewards maybe the only face to face contact many of our easement donors have with HWLC throughout the year. This type of stewardship helps cultivate positive long-term relationships with landowners. Training sessions provide an in-person opportunity for volunteers to interact, share stories, and meet mentors, new volunteers, and staff. We’ve discovered that these training sessions are valuable for keeping the volunteers engaged in HWLC and, of course, up to date on monitoring requirements and any changes in the program or procedures. Our training sessions usually kick off with a discussion that first gives information about HWLC, conservation easements, and the stewardship program. Other topics we’ve included in training include strategic conservation planning and how we identify properties to protect, and various land management issues such as identifying the top 10 invasive species. The second half of our training always includes the specific procedures for monitoring easements. These procedures are also detailed in the training manual. We will often include a field trip component as part of the training sessions. Training sessions also provide an ideal time to pass out property assignments. We produce a monitoring workbook, which includes the easement, baseline, monitoring report forms, contact information, etc. for each property, and these are passed out at the training sessions. Volunteers are required to attend annual training sessions in order to keep their certification current. Once a new volunteer is certified and understands the process and is comfortable with it, they are free to monitor properties on their own.